Like Matthew Fox, beauty prod company, Bliss is so appropriately named. I was never one to carry around a hand cream (let’s be serious, I have 10 lipglosses on me at a time), but I have changed my ways, friends. A coworker gave me a small bottle of Bliss High Intensity Hand Cream with macadamia oil and grapeseed extract and I am loving it. One application and raggedy cuticles disappear, the smell is subtle but appealing, and it doesn’t leave you too greasy to type a blog entry. So much better than the Sopranos series finale, n’est-ce pas? 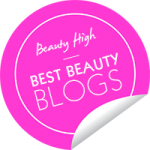 BBJ Included In Beauty High’s Top 50 Beauty Blogs List! I am just now seeing this. I hope to see our boy Jim (with short hair) in License to Wed on opening day. I may explode seeing him in a paternal way. He would be so precious as my baby daddy. I will totally keep you apprised of my next NYC soiree. I want to hang out with my SSFAM! P, I LOVE Marcia Kilgore! Totes want to BE her when I grow up. She’s so invited to the NYC shindig! Kelly Ripa is also super fun. Oh, and are you seeing License to Wed on opening DAY? Because I sure am. ohhhh I love this stuff. I love most of the bliss stuff. I want Marcia Kilgore to be my friend. Her and Kelly Ripa. When I come to NYC, let’s invite Kelly Ripa and Marcia Kilgore out for drinks!! I have a small tube of the Naked one (non-scented) that I got from Sephora Online as a birthday present. I like it a lot.